DALE -- Trust the state. Trust IDEM. That from Indiana governor Eric Holcomb who says he supports a controversial plan to build a coal-to-diesel plant in Dale. Supporters of the Riverview Energy plant say it will bring jobs to the area. But opponents fear the health impacts, and claim local employers have a difficult time filling the jobs we currently have. WITZ Radio News asked Mr. Holcomb about those concerns during a recent interview looking ahead to his 2019 legislative agenda. 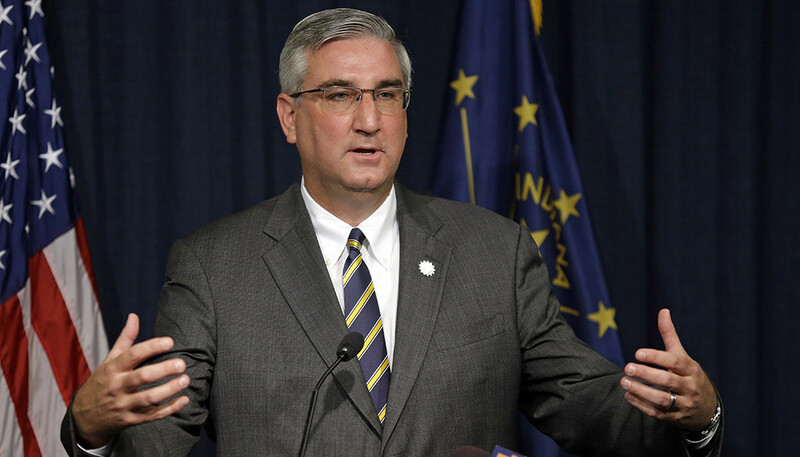 "We want to make sure that the state of Indiana is, not just receptive, but embraces investment and does so very responsibly," the governor said in that exclusive interview. "I'm thrilled that we are getting the attention that we are getting. I'm watching it, I'm monitoring it as well as the whole process unfolds. It will be conducted just as professionally as any and all other projects are statewide." But what about those health concerns? News Director David Shepherd pressed the governor. "From a state perspective, we'll make sure that limits aren't exceeded and that the local community, who are out there working hard to entice business investment of all types, we'll make sure they live within the rule system that we have created here that makes sure our air, and our water and our soil are clean and safe." IDEM says the proposed plant will not pose a significant risk to public health or the environment. Many opponents voiced their opinion at a recent public meeting. Some think IDEM’s motives are political in this case, saying they don’t feel any better about the plant coming to Dale than they did before IDEM issued its findings.